Colleges Grapple With How To Help Rural Students On Campus Some colleges are extending scholarships and other help to rural high school grads. They see benefits to diversity — and their own bottom lines — in having rural students on their campuses. Cameron Russell (left) is a freshman at the University of Michigan from rural Louisiana. His mentor is Elijah Taylor, a senior who grew up in Detroit. Both are the first in their families to go to a four-year college, a tough road Taylor has already traveled. Now he's serving as a mentor to Russell, whose rural background brings with it struggles that only a tiny handful of universities, including this one, are beginning to acknowledge and address. Taylor says neither student can "call home and say, 'Mom, how do I navigate the college experience?' "
Many colleges and universities were caught by surprise when frustration among rural Americans spilled over into national politics during the 2016 election. That, in addition to steady declines in enrollment, has pushed some schools to pay more attention to rural students — and to recognize that these students need at least as much help navigating the college experience as low-income, first-generation racial and ethnic minorities from inner cities. Rural students graduate from high school at higher rates than urban students — and at about the same levels as their suburban counterparts. But only 59 percent then go straight to college, compared with 62 percent of urban and 67 percent of suburban high school graduates, according to the National Student Clearinghouse, which tracks this. And once they get to college, they're more likely to drop out. "We never really came to terms with the fact that they needed extra support," says Naomi Norman, associate vice president for instruction at the University of Georgia, which in September launched a program to provide scholarships, mentors and other help to rural students. The University of Georgia is among a handful of four-year universities and colleges that provide financial and academic support to rural students along the same lines as what many offer urban ones. And most of these initiatives are recent. The Georgia program came about after a task force found that rural students have higher dropout rates than their classmates and couldn't afford the $1,500 fee for the existing summer program for incoming freshmen. The University of North Carolina system plans to increase rural enrollment by 11 percent by 2021, and several Pennsylvania universities and colleges have started scholarships for students from rural Schuylkill County, a onetime coal-producing area. The University of Michigan has begun extending the same kinds of financial and academic support to more and more rural students. Its Kessler Presidential Scholarship Program previously served mostly first-generation students from nearby Detroit and other cities; when the program started 10 years ago, that's where nine out of 10 of the participants came from. Now, nearly a third of this year's 36 new Kessler Scholars are from rural places. Alexandra Rammacher finished high school with a graduating class of 180 in rural Charlotte, Mich. Her first impression of the 46,000-student Ann Arbor campus: "There were so many people!" She just wasn't used to it. "Every day you would see a face you had never seen before — many faces you had never seen before," she says. "I was used to seeing a group of people I already knew. It was just a huge there-are-people-in-the-world revelation." Alexandra Rammacher's first impression of the University of Michigan: "There were so many people!" Michigan is among a handful of schools extending special support to rural students. Russell, the freshman from Louisiana, says his rocky start was academic. He had excelled at his small rural high school, but he failed his first college quiz while classmates from more privileged backgrounds sailed through. "I was like, 'Holy cow. Whoa.' I had never made below a B on anything before. It was scary. It's not because I didn't know it, I just wasn't used to the way Michigan runs math." He asked his classmates for help, and his grades have since recovered. Setbacks like that perpetuate some of the many stereotypes that rural students say they face in college. "They expect a yee-haw," Russell says. "They expect me to be some extreme bigot." Freshman Lance Schwiderson came to Ann Arbor from Au Gres, Mich., where he was one of 55 students in his high school's graduating class. He says the people he has met in college "always seem to think that I'm Republican. And poor. And a farmer." There are also genuine differences that make life on campus hard for rural students. 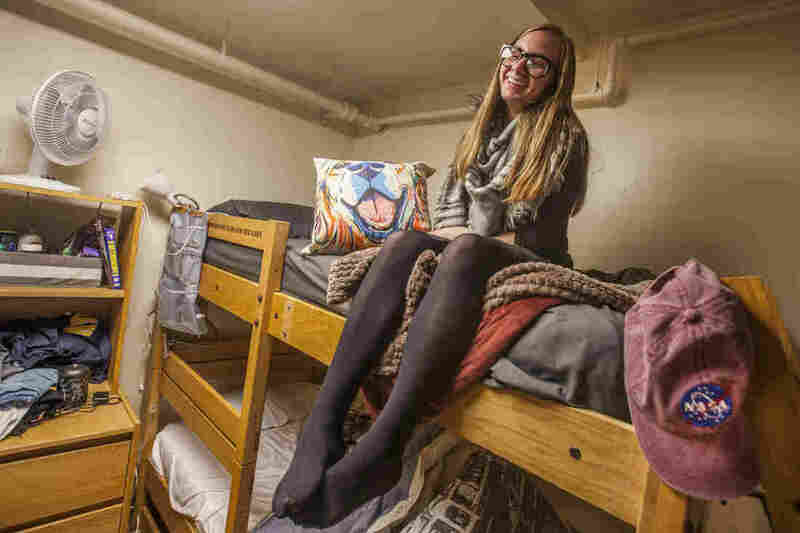 Students say they're acutely aware of the socioeconomic divide at the University of Michigan, where the median family income of students is $156,000, or three times the state average, according to the Harvard-based think tank Opportunity Insights. Ten percent come from families in the top 1 percent of earners, and only 16 percent from the bottom 60 percent. "Everybody else has got the coin that I don't have. Those Canada Goose jackets? You're kidding," Schwiderson says, referring to the brand of parkas other Michigan students wear, which can cost up to $1,550. "I'm walking down the road and I see people with Gucci or Versace." That's about more than fashion, says Kendra Beaudoin, a sophomore from Lake Linden, Mich., population 1,007 and about a 10-hour drive north of Ann Arbor. It's a reminder that some students have families with the resources to help them overcome the complexities of college, while others don't. "It's almost like a sense of entitlement," Beaudoin says. "Some students, they're comfortable, they're relaxed, they're OK with talking back to the teachers or arguing a grade." Beaudoin is the daughter of a single mother, and she helped raise her four younger siblings. Back home, she didn't know a lot of people with a bachelor's degree; fewer than 1 in 5 rural adults aged 25 and older have them, according to the U.S. Department of Agriculture's Economic Research Service. 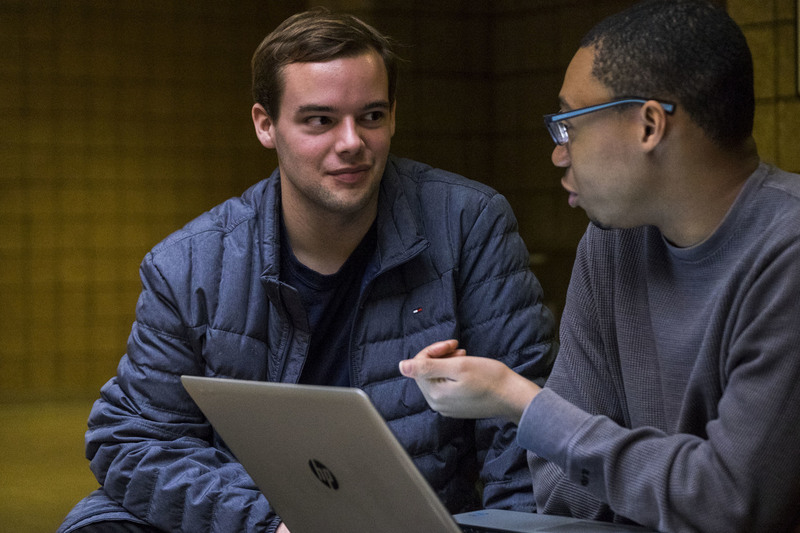 At Michigan, Beaudoin is majoring in biopsychology, cognition and neural science and has co-founded a club for first-generation students to give one another moral support and advice. "I'm still intimidated by professors. Going to office hours is terrifying," she says. "There were definitely moments when I was like, 'I'm only going here to fill a diversity quota and I don't really belong here and everybody else is so much smarter than me.' 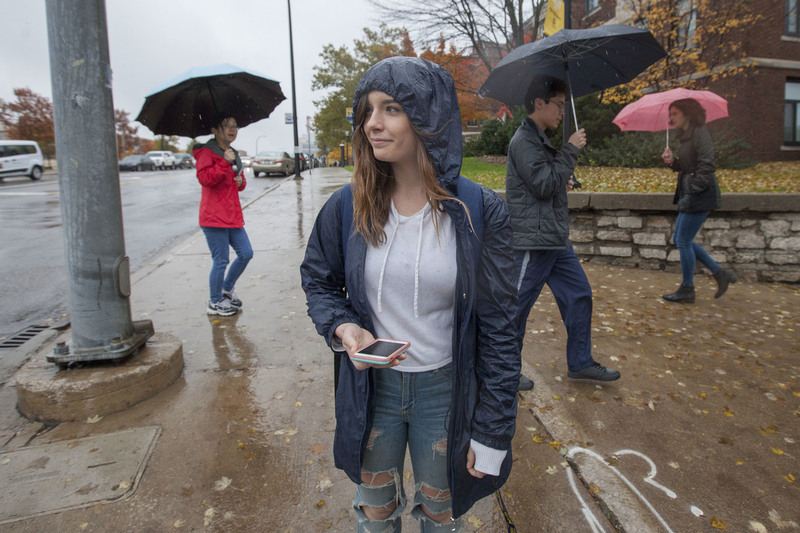 "
When Kendra Beaudoin first got to the University of Michigan campus, she didn't understand crosswalks: "Those don't exist where I lived." Other obstacles are more mundane. Take crosswalks. "Those don't exist where I lived," Beaudoin says. She stops and waits for the light to change while other pedestrians brush past her. When her phone broke, leaving her without one for several months, she used a paper map to find her way around campus. She still has trouble figuring out the bus system. Yet, as someone from a rural place where self-sufficiency is valued, "The idea of going to someone and asking how this works ... it was almost like I felt bad for not knowing." Universities have been slow to recognize these hurdles. "There's still some way to go here," says Gail Gibson, director of Michigan's Kessler Presidential Scholars Program. In fall 2019, the program will add scholarships and academic support for up to 20 students from the state's predominantly rural Upper Peninsula. Also next fall, Cornell University is launching its own program, which it modeled after Michigan's. One challenge faculty and staff face in helping rural students: They often don't realize that rural students, who are predominantly white, need the extra help. "If you are an instructor in a class looking out, you cannot identify [a first-generation rural student] in the way you might say, 'Well, I have an African-American student in this class,' or, 'I have a student of Muslim identity in this class.' So we start there," Gibson says. "What the student is experiencing in a classroom situation or in a dorm situation may or may not be visible." There are other reasons universities are suddenly addressing this group. One is self-interest. As the number of 18- to 24-year-olds declines and a robust economy draws more people straight into the workforce, enrollment at universities and colleges has fallen by 2.9 million since its last peak in 2011. Institutions need to find more students, and rural America has an underutilized supply. Another reason is political. "If we want to increase conversations across party lines and ideologies, we have to be exposed to one another," says Sonja Ardoin, assistant professor for student affairs administration at Appalachian State University in North Carolina, and a onetime rural student herself. Lycoming College's Kent Trachte adds, "We in higher education had better be thinking about how do we bring together young people from these different backgrounds to a place where they can hopefully have civil discourse." 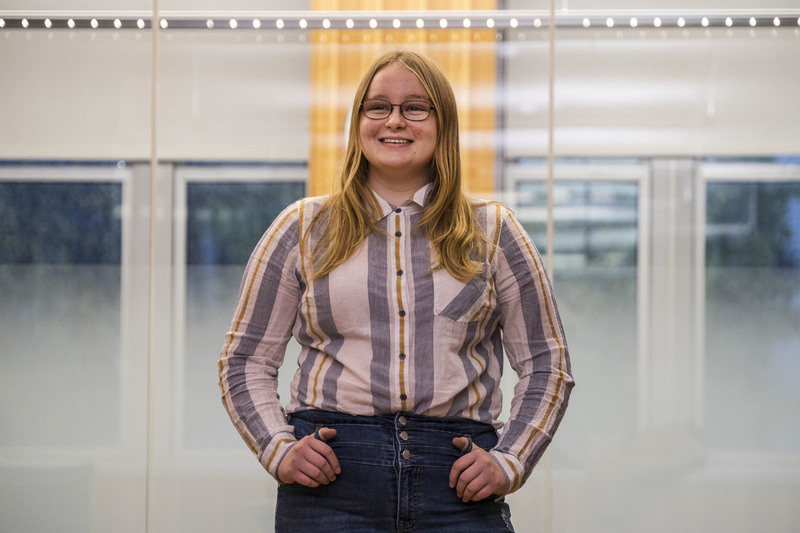 Rebecca Goodman, a freshman, tells people she lives "near Holland" because hardly anyone at the University of Michigan has ever heard of her tiny hometown. An astrophysics major, she said she "felt lost a lot of time the first few weeks on campus." Having conversations on campus doesn't always lead to dialogue back home — especially because many of the rural students we talked to at Michigan said they don't expect to return — even if they want to. "I'd have this degree and want to do something with it, but there's not really too much of an opportunity to," says Beaudoin, the sophomore from the Upper Peninsula. Schwiderson, from Au Gres, Mich., told his mentor he didn't even want to go home for his winter break. "I don't want to be back in small-town America," he says. "It's right that a lot of people from rural towns are conservative, and that's not me so I don't love going home and butting heads with people who never leave and never open themselves up to something different. They're just going to stay on the same farm their whole life with the same values and do the same thing. I'm just trying to experience everything." Russell has a more nuanced take: "I told my mom over the summer before I came here, I said, 'Mom I think this was my last year in Crowley.' And that made me cry thinking about it because I love where I'm from and I'm going to miss my family." But Cameron knows that if he wants to finish his degree and pursue a career in biochemistry, he's not going back to Crowley, La., any time soon. This story about rural college students was produced in partnership with The Hechinger Report, a nonprofit, independent news organization focused on inequality and innovation in education.